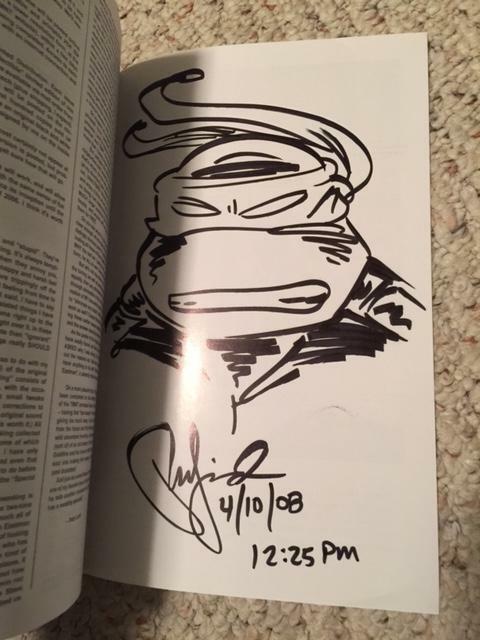 [FS] TMNT Vol.4 #29 and #30 with sketches, and More! 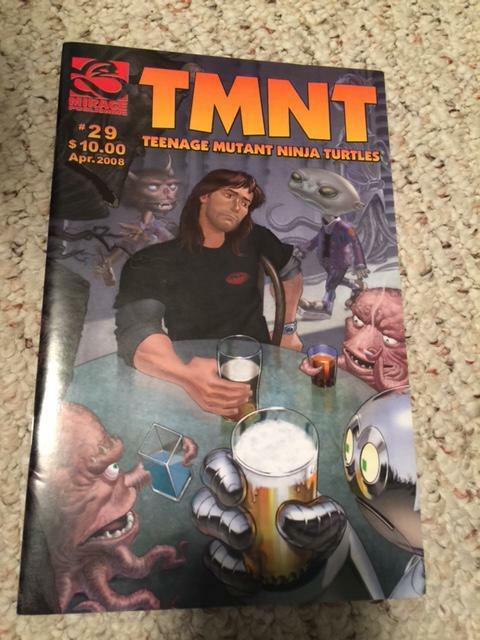 TMNT Vol.4 #29 and #30 with sketches, and More! For sale are two very sought after Vol.4 issues #29 & 30 both with sketches in them by Mr. Eric Talbot and Mr. Peter Laird. Also available if you're interested in the above but still do not have all of Vol.4, may I offer the complete Vol.4, which includes #31 and #32 (signed by Peter Laird, Jim Lawson, Kevin Eastman, and Steve Lavigne). I know there are a few more sought after comics in Vol.4 and I would rather just sell them all instead of piece by piece. I am also taking offers on a complete set sale of Vol.2 and Vol.3, as well as the Vol.4 Specials. Also for sale is a complete set of the regular TMNT Adventures Archie series. I have some of the side series but not all. I do have all of the specials available. I will attempt to make a list of everything available so I can mark what has been sold but in the meantime just feel free to PM. Pictures available upon request. Serious offers only, paypal is how transactions will be handled, buyer pays shipping to anywhere worldwide. Appreciate the price tags ya threw out there. Hard to imagine that something with an Eric Talbot sketch would only get $100. Seems rather low to me. As for why I am clearing this stuff out, minimizing my life. Getting rid of things I don't really need so I can experience more from life. I could have started with mundane things but I feel like if I rip the band-aid off with some of my favorite items then it will be easier to let everything else go as the time comes. 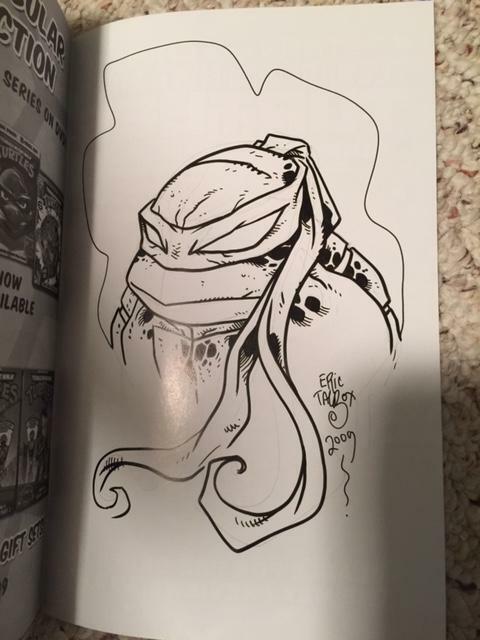 Any interest for a Mondo Leonardo for TMNT #29? #29 is worth double the ever-dropping market value of said figure, yo. Agreed. Had I been the one to say this, I would have gotten ripped a new one. Valuations on #29 and #30 are also too low, and there is at least one issue of Vol. 2 that is nearly impossible to find. Someone on here is looking for one. I have a spare of each, signed and sketched.... but I wouldn't go less than $1000 each if I ever listed them for sale. Oddly I get ripped for my prices being too high on 29 & 30... but now you think thats too low? To the OP, sorry dude. To this day I still kick myself for choosing an issue of Image over that one in a local comic shop. They were the same price (like $5) and I was low on cash. I ended up choosing the Image issue and when I got home I realized how much of a fool I had been. It had completely slipped my mind that that particular issue was rare. I went back to the shop later and they had already sold it. Vol. 4 #29 without the Laird Sketch in the back of the book sells for about $300. having that lovely sketch doubles the price or even more. a few years back i think i paid around $150 for a Vol.4 #30 with a Jim Lawson sketch. but it wasn't nearly as detailed as that Eric Talbot you have there. i'd say put them up on ebay with a nice high fixed price and 'best offer' option. Last edited by myconius; 10-08-2017 at 07:59 AM. I second that - the ones with the Laird sketches from 2008 don't come up for sale often. You may get a nice price. Thank you everyone for all the advice. I'm thinking they will be going to ebay. I hadn't seen it listed alone at all when I was looking for it. In 2015 or so there was a full Volume 2 run (including #10) for $90. Then I got lucky and bought a lot for a fair price which included this issue. What would explain why this issue is that hard to find? 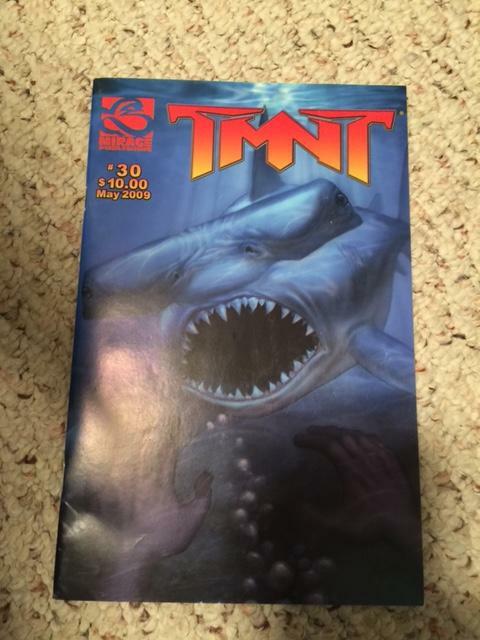 What's the difference with other "late" issues of Volume 2? I was told that 10 was out a whole year after issue 9, so folks may have forgotten about v2 between issues and thus not many out there plus a lower print run. I have one and I'm going to stick it on ebay, unless someone really wants it for a bonkers crazy price here. Wouldn't 11 - 13 be rare in that case too? I noticed 10 is the only issue of volume 2 not available on Mirage's site for sale. Interesting, never knew it was rare. I was a subscriber at the time it was released, so I never paid much attention to it after that. Be sure to notify us when the auction links are live, please and thanks.